Free Real Estate Invesment Seminar on April 18, 2007 from 6:30 PM to 8:00 PM at Primary Residential Mortgage, Inc. The Seminar is for New Real Estate Investors. The seminar will show participates how to analysis potential investments, how to aquire the proper financing, what loan programs are available for investors with the current mortgage market, and much more. Each participate will recieve a Free Audio CD on Real Estate Investing and a Free Investors Kit which includes most forms needed to get started in Investing. Please Call 302-703-0727to register. The seminar will be at 42 Reads Way, New Castle, DE 19720. DELREIA has plenty of experience with wholesaling, Lease Options, Foreclosures & Pre-Foreclosures, Tax Lien Certificates, and anything else related to real estate investing in Delaware. Hard Money Loans – If you need short term financing with no credit check or income verification you will need to get a Hard Money Lender to provide financing. Hard Money Lenders will lend based on the value of the property, typically no more than 65%. Terms are usually 6 months to 12 months max. You will pay points 2.75 to 4 Points per loan and the rate is 12% to 14%. If you are purchasing a investment property that needs to have repairs made and will not qualify for a conventional mortgage loan then you can use a Fannie Mae Homestyle Renovation loan to purchase the property which is a special conventional mortgage loan just for renovating and upgrading. You will still need a 20% down payment. Commercial Loans – If you are purchasing 5 or more units or strictly commercial properties then you will need to obtain a commercial mortgage loan. If you would like to apply for a Delaware Real Estate Investor Loan, you can APPLY ONLINE HERE, you can call John R. Thomas at 302-703-0727. Want to Invest in Delaware Real Estate, But Don’t Want to Be a Landlord? If you want to get involved in investing in Real Estate in the Delaware Market, but don’t relish the idea of becoming a full time landlord then your next best option is to find a Delaware property management company. But what should you look for in a property management company? The biggest problem with being a landlord is finding good tenants and avoiding tenants that know how to work the system so that they don’t have to pay you and don’t have to move out either!! LANDLORD REFERENCES – They should personally talk to past landlords and ask detailed, open ended questions about the applicant’s past performance. CREDIT REPORT – Their property manager and leasing agent should have a direct connection with the a credit reporting service. They should obtain a credit report which tells them the applicant’s current and past performance toward meeting their financial obligations. It also tells them their monthly debt, credit score, and shows their previous addresses (which they should compare to addresses listed on the application). An applicant must meet established credit standards. DRIVER LICENSE VERIFICATION – They should pull a copy of the applicant’s public drivers license data. This tells them not only if the addresses given on the application are consistent but also when and what the last drivers license activity was, such as a renewal or change of address. This is important because if someone says they have been living at a certain address for the past three years, but then we see they renewed their drivers license a year ago at a different address, a red flag goes up because often in that situation the applicant is trying to conceal bad rental history. PROPERTY TAX SEARCH – If a private individual is listed as previous or current landlord, they should pull the tax records and verify that the person listed actually owns the property. The property tax record crosscheck, along with pulling driver license data, is what reveals most of the fraud attempts that are encounter and is a level of scrutiny that most property management companies do not even perform. EMPLOYMENT/INCOME – They should contact the employer to verify length of employment, status, and income. An applicant needs to earn at least 3 to 4 times the monthly rent in gross income to qualify for rental and they should want to see a copy of their pay stub. Verifying the employment status is extremely important for vetting good tenants as it is one of the biggest indicators of whether a tenant will be able and willing to pay the monthly rent. If you need help finding a Delaware Mortgage Loan for investing in Real Estate, then give me a call at 302-703-0727. I can find you the best Investor Loan that meets your unique situation. 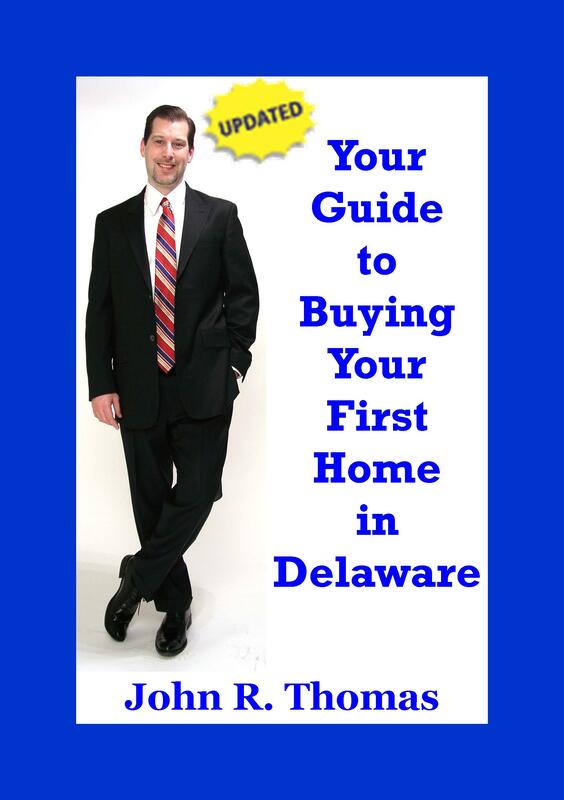 I can find you the best Delaware Mortgage Rate for your purchase or refinance of a Delaware Investment Property. If you would like to apply for a Delaware Home Loan, you can APPLY ONLINE HERE, you can call John Thomas at 302-703-0727. There will be a free seminar covering the financing options available for Real Estate Investors. The seminar will be January 27th, 2007 at 42 Reads Way, New Castle, DE 19720. The seminar will be from 10:00 AM till 12:00 PM. Please register by calling 302-703-0727. Various strategies will be presented for investing in real estate in the tri-state area.